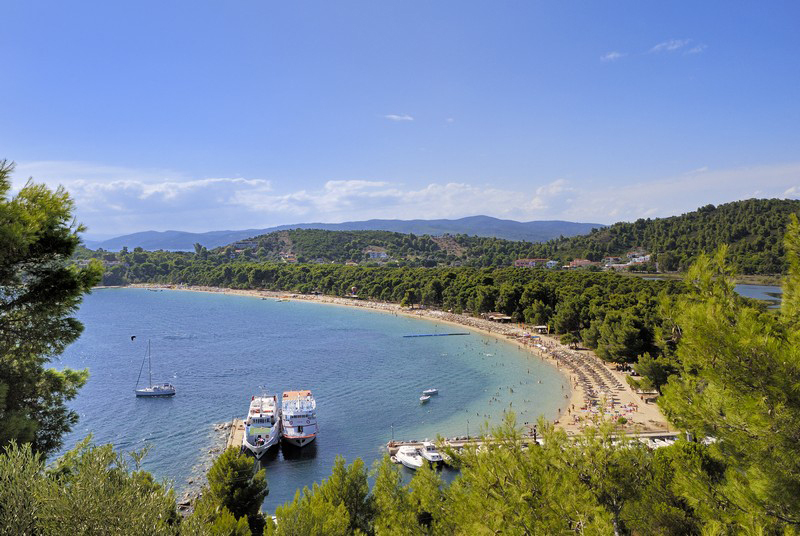 The island of Skiathos is well known for its amazing beaches which number over sixty, most with crystal blue waters and fine golden sand. These lovely shorelines include the beach at Agia Paraskevi named after the little country church of Agia Paraskevi which is found there. Vromolimnos beach is a simply beautiful 700m long sandy beach with the clearest emerald and turquoise waters plus a fabulous beach restaurant. Kolios Beach is named after the hill village that looks down on this circular shaped sandy beach with crystal clear waters. 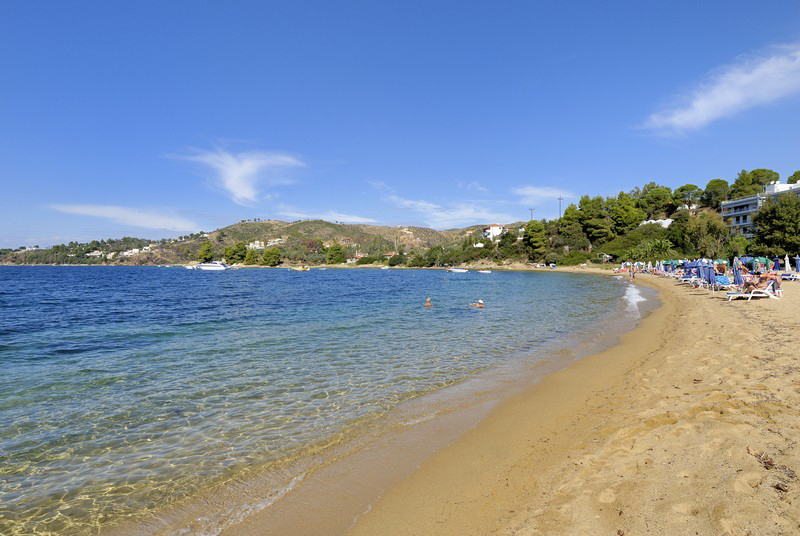 In touching distance to these beaches just outside the hill village of Kolios you will find Villa Dimitrios. 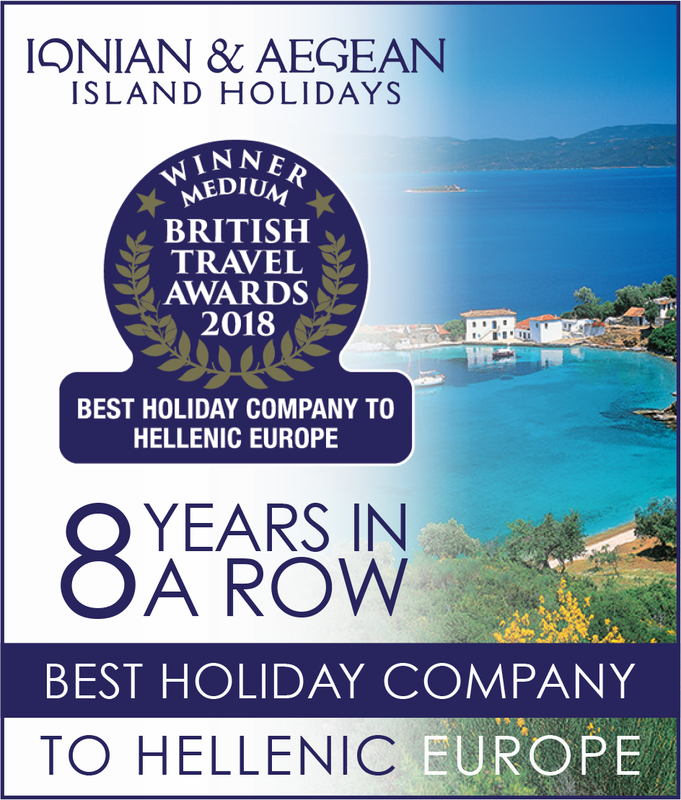 An ideal location to explore many of the island’s famed sandy beaches some just a short drive away and is only seven kilometres from Skiathos Town. Situated on a pine and olive covered hillside, this single storey villa takes full advantage of the most fabulous panoramic views out to sea. 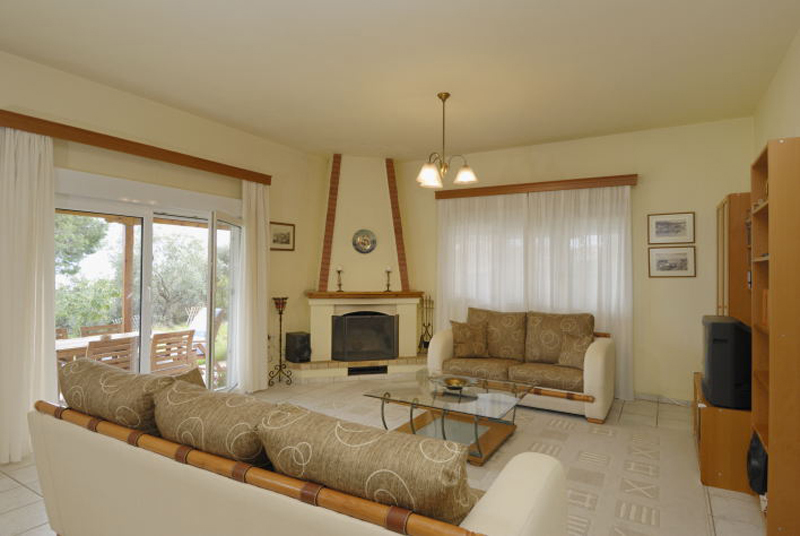 The spacious open plan, air conditioned living room and dining area lead into a fully equipped kitchen. Patio doors from the living room open out onto the sea facing terrace with outside dining area and barbecue making it perfect for al fresco living. Beyond the terrace is a lawn which surrounds the pool area. 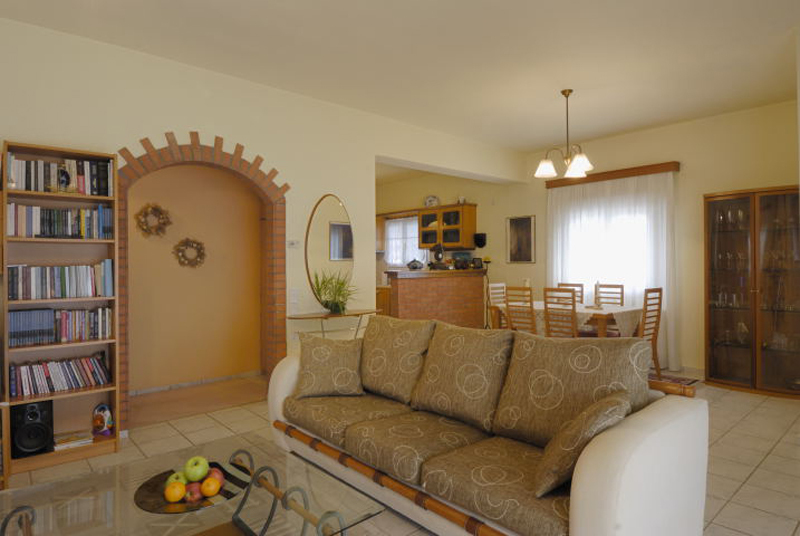 There is a bathroom and two bedrooms, one double and one twin both air-conditioned. 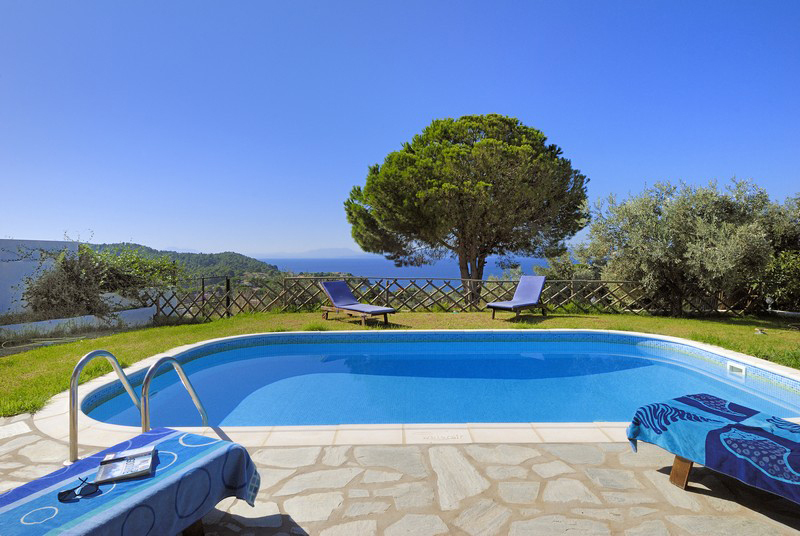 Villa Dimitrios is an ideal holiday home for both couples and small families alike, with sandy beaches on your doorstep and the cosmopolitan nightlife of Skiathos Town a short drive away. The local tavernas nearby to Villa Dimitrios provide a more low key but equally satisfying and relaxing alternative for excellent mouth watering local dishes.